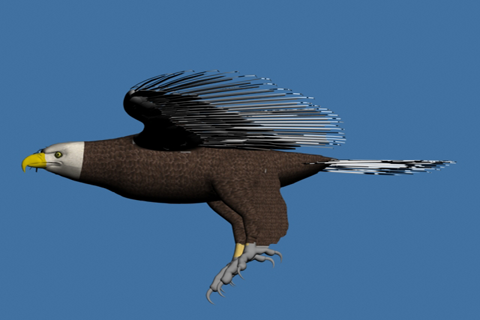 Eagle Quest is an interesting enslaving game that represents the “Circle of life”. 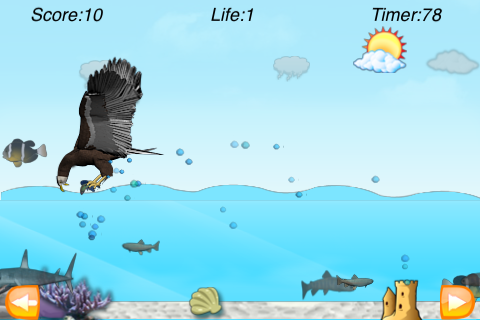 Eagle Quest iPhone app game comes with an option to give you an cinematic experience if you want; you can just watch without intervening and it can play by itself or you can be the eagle and be part of the circle of life food chain game. You are the eagle; your survival is in your hands. You can move left; you can move right; you can fly away into the blue sky; far away from the water and the fishes that are on the surface tempting you to catch them;or take a plunge and feast yourself to a deserving meal. But watch out..! You are not the only one who is hungry, some one else is on the lookout too, hmmm yum yum eagle, says the shark..! After choosing your options in the settings module, click on play to start the game. 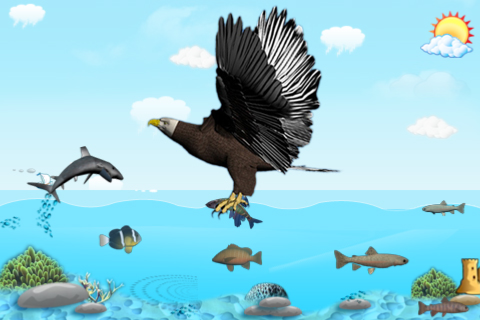 Use the functions of the accelerometer to move the eagle to the direction of your choice. You can tilt the device to change the direction of the eagle. 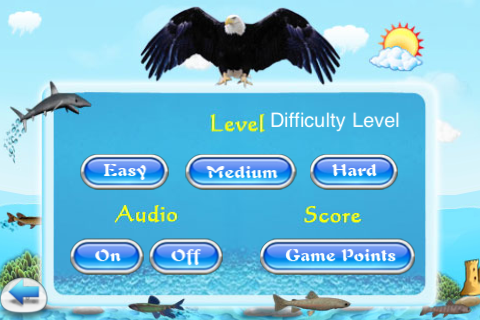 As a player you can make the eagle change directions and either be close to the water or fly high into the sky. When closer to the water the eagle tries to catch the fish, and if the shark is close by then he tries to catch the eagle. Do you need to take a break, no worries, just click on the pause button and toggle it back to return to the game from exactly where you left off. The number of fishes, the number of available lives and how well you do within the given time frame determines the score. How savvy are you ? Are you beginner, mid level player or the expert gamer with the best hand eye coordination.! Choose easy, medium or the hard levels. Do you like to play with the background sound of the seas, and feel like you are doing the 'cha cha cha' in Hawaii or you can play in silence. Click on the game point to go to the game dashboard. You can add users and track the score. The highest score for each user is stored. In the score dashboard screen you have the option to toot your own horn on face book and post the scores on your wall. Hope you enjoy the game as we do. Requirements: Compatible with iPad/iPhone/iPod touch 3.0 and above. Preference of 3g or faster devices. ✓ Word Teaser - Custom vocabulary workout - compelling animated tree game for all ages. Great educational tool for teachers & kids! 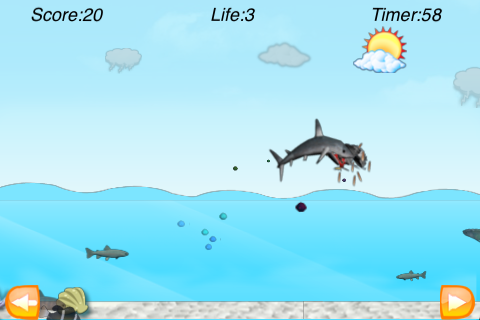 ✓ Eagle Quest - Life is circle - Eagle wants fish, Shark wants Eagle - Who wins at the end ? Eagle or Shark ?